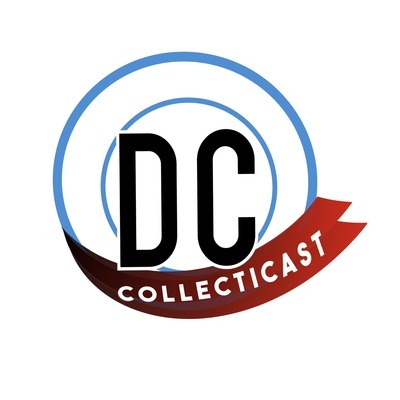 The first ever DC collector podcast! Talkin’ Action Figures & Collectibles from the DC Universe. Hosted by Podcaster/Writer, Benjamin David (Above & Batman Beyond). Benjamin first met @toyshiz right at the DC Collectibles booth at NY Toy Fair this year! Today, the 2 toy nerds follow up with a collectibles talk about DC and what @toyshiz, the profile, is all about. Follow him on Instagram for minute by minute toy availability updates and reviews! Forever Diecast returns! As do we, with a new bi-weekly episode schedule. Happy to announce our new Batmobile correspondent/Diecast expert Tim Jack: @batman_forever_diecast on Instagram, returning today with Batmobile and other DC updates. Benjamin touches on last episode’s live coverage of NY Toy Fair 2019; the boys talk DC Primal Age action figures, Matt Reeves’ “The Batman,” and more from DC. Part 1 of our LIVE NY Toy Fair 2019 coverage! From the largest international toy show on the planet, Benjamin David interviews DC Collectibles, Funko, & Cryptozoic right from their booths at the fair. 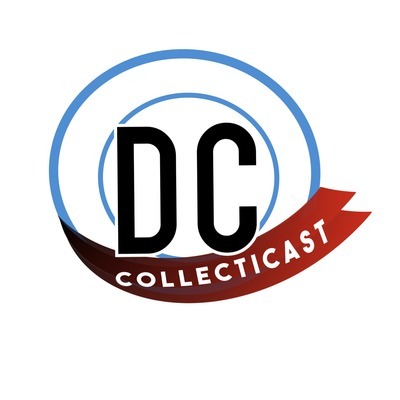 Welcome BACK to DC Collecticast! New Interview format, featuring today’s Batmobile obsessed guest, Tim Jack, a.k.a. @batman_forever_diecast on Instagram. NY Toy Fair 2019 is ALSO upon us this weekend, Benjamin breaks down upcoming interviews and DC reveals coming out of this year’s LIVE NY Toy Fair coverage! Back from Florida, Ben and the collectors reconvene: BTAS on Blu-Ray, Our Beast Kingdom/DCC giveaway, QnA Figure wish list for the DCAU. Benjamin recaps his NY Comic Con LIVE DC Collectibles interviews from Funko & Diamond Select; meeting his childhood hero; making serious con press connections and Batfriends alike! (Please excuse minor audio/editing issues. We're still learning the new recording system). We’re crossin’ the pods from NY Comic Con 2018, collectors! Today’s ep is a crossover with our network’s “Above & Batman Beyond” podcast, featuring Benjamin’s interview with the incredible Mr. Freeze cosplayer, Edward @bretzels.empire on Instagram. Next, tune into “Above” for a LIVE NYCC interview with Zach Oat from the Diamond Select booth at con.. Oh, and a minor story about meeting KEVIN CONROY, the voice of BTAS Batman/old Bruce Wayne from Batman Beyond!! LIVE from NY Comic Con 2018, Benjamin returns for an interview at the coveted and PACKED Funko Booth. Interviewing Cameron from the legendary Funko marketing team, talkin' DC: Gold Midas Batman & Harley Quinn DC Heroes, Arthur Curry Aquaman Pop! and the bonus of ALL bonuses: a FREE "DC Primal Age" Mr. Freeze from their new Masters of the Universe inspired DC line of action figures. Happy con, DC Collectors! Ben previews his NY Comic Con coverage; Tyler & Scott reminisce Batman Forever toys; Titans & DC Universe; Benjamin tells of his life's journey as a Bat fan/traveller/writer/podcaster in our new segment.